Whether it’s for the kids or the adult/big-kids, glow in the dark features at your event add a real wow-factor. 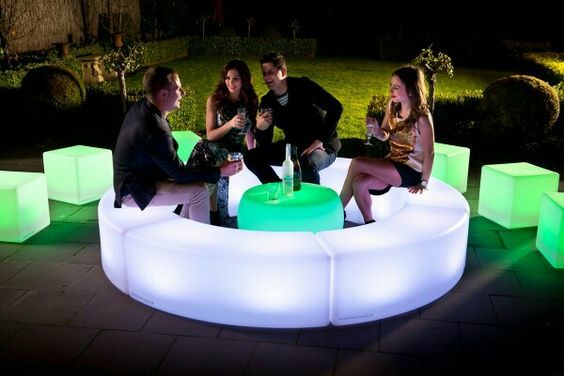 Here are our top recommendations for glow in the dark furniture and party hire. Glow cubes can be used as stools for your guests to sit on, side tables or to carry an ornamental piece. They’re easy to transport and have a long lasting internal battery so you don’t have worry about ugly cords. 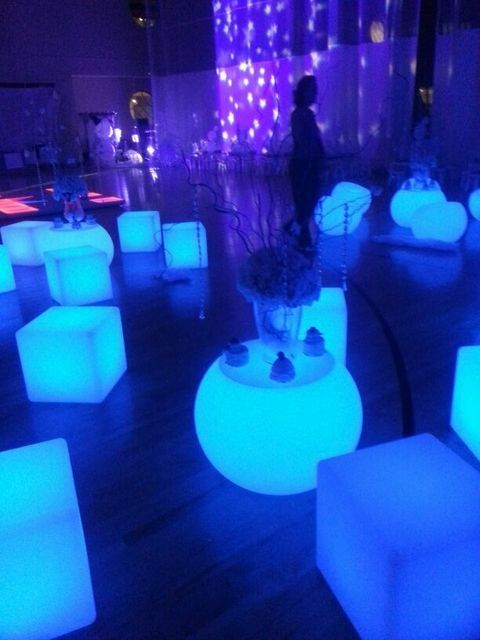 Multiple glow colour settings allow you to customise your glow cube pieces to the colours and theme of your event. As they are lightweight, you can scatter them around the seating area of your event, but your guests can easily pick them up to accommodate conversations in larger groups, and in the configuration that suits their needs. As such, they add a casual element to your event as opposed to predefined seating arrangements. 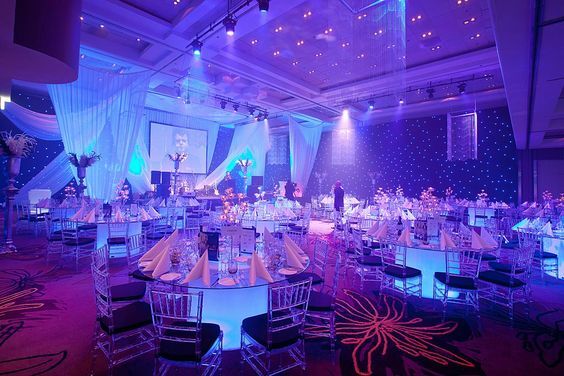 If your event is outside, glow furniture is also an easy way to add lighting to specific areas of your party. Consider hiring glow benches and coffee tables. As they light up in the dark areas, they can be used to highlight special seating areas and places where you want to draw attention for your guests. Because of their size, glow benches can even emit their own light to compliment your event’s existing lighting. This is very useful when you want to use unique glow colours to enhance particular colour themes of your party. Although the light may not be strong enough as a stand alone light source, a large range of benches can act to supplement overhead lights where needed to create a fun and novel party atmosphere. These look great for functions and corporate events with a dark theme. 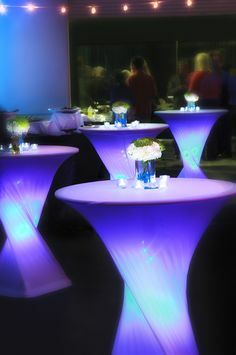 Glowing cocktail tables are a natural attraction for your guests to gravitate around to place their drinks and spark up conversation. As drinks are placed on the illuminated table, colourful cocktails paired with glow in the dark bar tables only serve enhance the novelty atmosphere and make a popular talking point for your guests. An optional extra touch is a glowing table center-piece such as a flower arrangement or candle, further brightening the glowing furniture and ornaments atmosphere against a dark themed background. Why not have the bar even easier to find for your guests and make it illuminated! With Party Hire Group’s glow bar hire you can choose between the straight bar (to any length you like) or the curved bar option (making a semi or fully closed circle). You could even add a glow ice tub or cube for drink displays. Glow banquet tables are a popular choice for weddings, adding a touch of sophistication and stylishness to the room. These are often paired with ghost/clear Tiffany Chairs. These special tables can create an instant atmosphere to large dining rooms where although guests will be seated you still want to foster a party atmosphere.